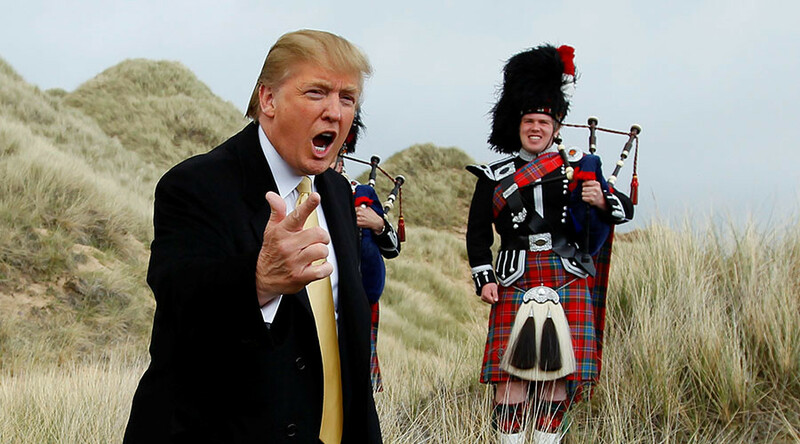 A potential insight into president-elect Donald Trump’s future methods of international diplomacy have been revealed in a barrage of communications he sent to Scottish minister Alex Salmond over proposed wind farms near his golf course in Aberdeen. The messages, sent between September 2011 and June 2013, contain abuse and threats made by Trump to the former first minister of Scotland, Alex Salmond, whom he refers to as “Mad Alex”. The communications, obtained by the Huffington Post, vary from cajoling to threatening in a wildly eccentric fashion, revealing Trump’s temperament when challenged. The letter goes on to tell Salmond he will “single-handedly have done more damage to Scotland than virtually any event in Scottish history,” should he go ahead with wind energy plans. The billionaire businessman sought to get his way by telling Salmond the dream of Scotland’s independence would be “gone with the wind” if he continued with his support of windfarms. Trump also claimed the Scottish economy would “become a third world wasteland that investors will avoid” if wind farms, which he referred to as “monsters,” were allowed to happen. Trump claimed he wanted to “save Scotland,” presumably from the wrath of renewable energy, to honor his mother who was born in Scotland before emigrating to the US. For those who hold such hopes, Trump’s appointment of ExxonMobil chair Rex Tillerson as secretary of state, and climate change denier Rick Perry as head of the Department of Energy, might not instill much confidence.